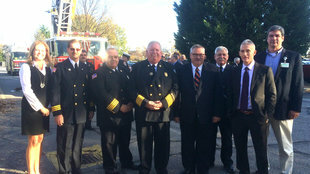 The mission of the Boiling Springs Fire District is to protect the citizens and enhance the quality of life within our service area from all hazards through prevention and emergency response by active participation with our community partners. 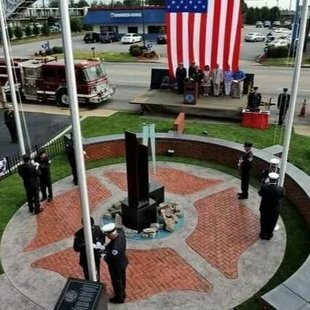 Members of the Boiling Springs Fire District raise the United States flag, South Carolina State flag, and the Fire Service Memorial flag over the 9-11 Memorial monument located in front of the Headquarters Fire Station. 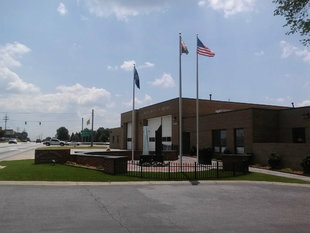 We are accepting donations for our 9-11 Memorial. For information as how to make a donation, please contact Fire Marshal Jeff Neslon at 864-268-3617 or by email at jnelson@boilingspringsfd.org. Donations can also be made through any BB&T bank branch to account: bsfd/wtcmemorial. 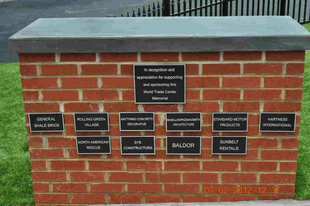 Anyone interested in applying for a donor plaque to be placed on the wall of the memorial, please download the "Memorial Plaque Donor Form" on the right side of this page and follow the instructions on the form. 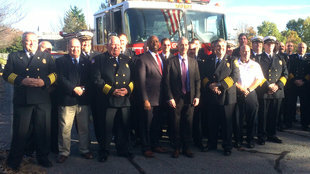 The Boiling Springs Fire District will partner with several other Greenville County public safety agencies for their first Spring Break Safety Fair. Saturday, October 6, 2018, Greenville County’s Boiling Springs Fire District will hold an open house to launch its 2018 National Fire Prevention Week activities. COLUMBIA—With the approach of Hurricane Florence, the South Carolina Forestry Commission will issue a State Forester’s Burning Ban for all counties, effective at 7 a.m. Wednesday, Sept. 12. Please take some time and navigate your way through our web-site. On the home screen in the lower left corner is a link to the page that hosts our photo albums. New photos are added to these albums fairly regularly, feel free to browse through them.